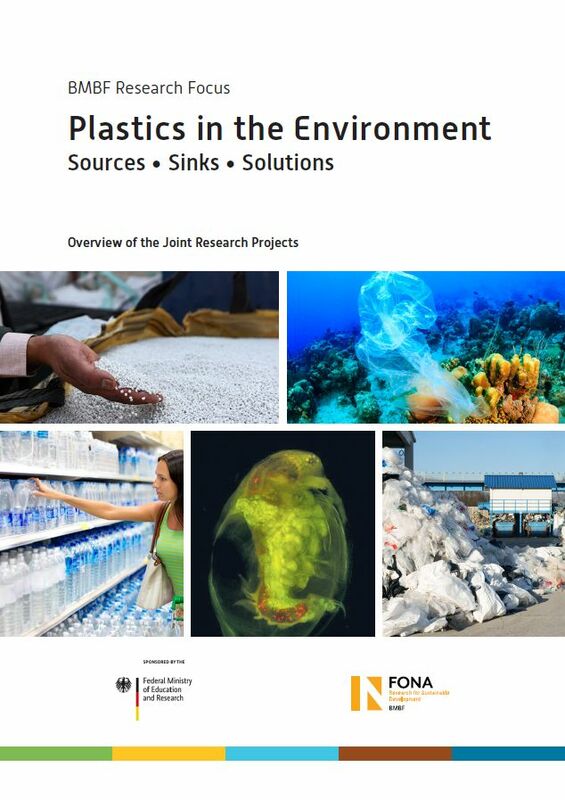 The Overview of the Joint Research Projects of the BMBF Research Programme "Plastic in the Environment – Sources • Sinks • Solutions" is available for download. With its comprehensive research programme, the German Federal Ministry for Education and Research (Bundesministerium für Bildung und Forschung, BMBF) is funding 18 research projects which have the overall aim of noticeably decreasing the amount of plastics in the environment. To do so, scientists indentify, develop and implement possible solutions in cooperation with political, societal and economic actors. The conference paper presents the aims of the overall research programme as well as the 18 research projects spanning a wide range of research areas such as Green Economy, Consumption, Recycling, Freshwater Ecosystems as well as Saltwater Ecosystems, and the accompanying research of PlastikNet. Ecologic Institute (ed.) 2018: BMBF Research Focus - Plastics in the Environment Sources • Sinks • Solutions - Overview of the Joint Research Projects.